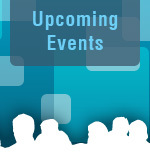 It’s where top-tier industry experts meet each month to help up-and-coming life sciences start-ups. SEE BELOW for details of the upcoming meeting. 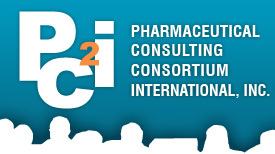 PCCI provides complimentary executive level consulting services to help early-stage life sciences companies succeed. We provide our members and their guest with an informal networking venue supporting our mission to help Pharma start-up companies move forward and to facilitate and create business opportunities for PCCI members and their guests. Tapping the vast talent pool of highly skilled pharma and medical device executives provides the New Jersey Chapter membership with direct access to over 300 experts. Great venue, knowledge & networking! If you haven’t joined yet, then join today. Life time memberships are only $150.00. 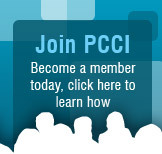 Use Paypal or Credit Card to become a member online instantly. From its headquarters in Roan University South Jersey Technology Park, OcuMedic, Inc. is developing a drug-eluting contact lens corneal bandage as a replacement for eye drops for pre and post cataract, LASIK corneal modeling surgery and corneal abrasions. Topical eye drops, the standard of care controlling over 90% of the ocular pharmaceutical market, are inefficient and inconvenient as drops are washed out from the eye in 30-45 minutes due to tearing and blinking with substantial peaks and valleys in drug concentration. Less than five percent (<5%) of the drug gets to the target tissue. With multiple drops per day, most patients miss their drops leading to complication causing recalls and extended recovery costing the health care system $70 Billion dollars per year. The company seeks to deliver more efficacious and convenient treatment to consumers’ alieving them of the therapeutic burden of self- drug administration with a technology eye care professionals are already trained to deliver. The worldwide available eye drop market is $16B growing at a CAGR 0f ~8%. Ocumedic’s initial target segments are $2B with 6 million procedures in the US and 20M outside the US totaling 26M per year. Cataract procedure alone is expected to double in the next 10 years. The company has engaged in better than ten years of pre-clinical development leading to 9 issued patents, (5 USA, 2 Canada, Mexico, India and one PCT for the EU where the patent office has indicated it will issue soon with broad claims). The company has recently received from our patent attorneys at McKee, Voorhees and Sease, PLC a Freedom to Operate opinion highlighting its novelty. The intellectual property was licensed in from Auburn University where the principal, Dr. Mark Byrne conducted his research funded by NIH and NSF grants. Extensive in vitro testing has been completed on 10 different ophthalmic agents. To date, OcuMedic has produced prototypes of daily wear and multiple-day, extended seven-day (7-day) wear lenses that continuously release drugs as well as ‘comfort’ agents that lead to more comfortable contact lenses. OcuMedic’s first product in the Pipe Line (OM002) is planned to be an anti-inflammatory releasing bandage lens for pre & post cataract, LASIK, and corneal abrasions. OcuMedic’s solution is a corneal bandage that will be worn continuously for 7 days releasing (off patent) bromfenac a non-steroidal (NSAID) “First Line” drug (based on IMS data) while the bandage lens is worn. The first bandage lens can be placed and removed by the ophthalmologist directly after surgery and during the subsequent one-week checkups until inflammation and pain resolve. Based on the “standards of care” recall schedule for post cataract and LASIK surgeries the next 1-4 lenses are planned to be placed on the eye by the PROVIDER or his staff on recall each week thus the patient never has to manipulate the device. The technology was developed with the most commonly used “safe ”lens material silicon hydrogel, (SiHy) which is employed in 80% of the market combined along with bromfenac a broadly used “safe” anti-inflammatory. The company has produced excellent in-vivo data demonstrating we can deliver the anti-inflammatory drug to an eye for 14 days. The results to date stage the company to advance to another short animal safety study then on to a Phase 1-2 human trial to demonstrate further safety and efficacy. The company has engaged the President of PharmaLogic, Inc. Dr. Garry Novak an individual with extensive experience with ophthalmic drug and device regulatory strategies, Dr. Fred Cahn the Principal of Biomedical Strategies with extensive experience in eye care device and challenging regulatory submissions with a recent focus on ophthalmic devices and Dr. Lynn Winterton, previous Global Head Ciba Vision developing and commercializing multiple contact lens in the market today. A letter proposal to the FDA drug branch CDER is being readied for submission proposing a PRE-IND meeting delivering bromfenac with “Precedent.” The proposed trial endpoint is OcuMedic’s delivery of bromfenac is not inferior to the drug being delivered as an eye drop. Thor OcuMedic technology creates a new architecture with memory for the drug within the polymeric network comprising the contact lens to enable continuous release of drugs to the eye (mimicking biological recognition in the design). As the drug moves from each memory site that briefly holds onto the drug within the lens structure, drug release from the lens is controlled. Thus, OcuMedic’s technology is a platform technology that works within existing lens manufacturing schemes and can be applied to various drugs or drug combinations leading to a number of products. OcuMedic has successfully verified continuous drug release from various prototypes as well as the other properties of the lenses, which match those on the market today such as modulas, optical clarity, thickness, and oxygen diffusivity. OcuMedic can produce contact lenses that deliver therapeutically relevant concentrations of medication in a constant manner for days to weeks while the lens is worn. This has been experimentally verified in a well-accepted animal model and in the laboratory using artificial tear fluid at physiologically relevant tear flows. OcuMedic’s science and results have been vetted by peers and have been published in numerous, top peer-reviewed journals in the field. Also, OcuMedic ’s science has been heavily vetted by KOLs as the company has received over $1.5 MM from various research grants from the National Eye Institute of NIH, National Science Foundation (“NSF”), and CIBA Vision (one of the major global lens manufacturers) to further Ocumedic R&D. Choice of appropriate polymer chemistry (i.e., monomers/macromers) and templated polymer network formation makes possible affinity between drug and multiple polymer chains within the polymer network due to non-covalent interactions (ionic interactions, hydrogen bonds, hydrophobic forces, Van der Waals forces). A polymer network with functionalized small pores impedes and controls the diffusion of drug through the network. To obtain a suitable polymer structure, a controlled templated polymerization is important. Creating macromolecular memory by including the drug during polymerization leads to the enhanced affinity of drug and polymer. it further slows down and controls the drug the diffusion. The overall objective is to obtain an approximately constant or steady release rate (i.e., “zero order”). Reserve your dinner for this month's meeting online now though PayPal. Please note: You do not need a PayPal account to reserve your spot, most credit cards are accepted.